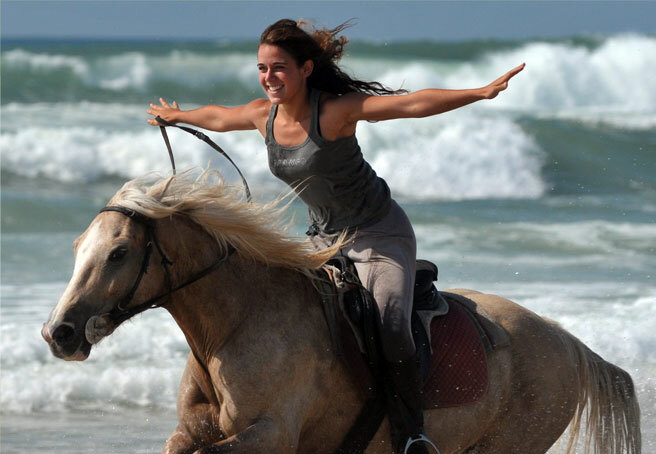 Why use an agency to book an equestrian vacation ? In today's world of the internet it seems that all the information is at your fingertips ... just search in Google ... and you will find your dream horseback vacation right away. Really? As fantastic as the internet is to find almost anything you want ..... it also creates a lot of clutter and unqualified information. Today it is more important than ever to get good advice - unbiased and objective advice that is. It is the main purpose of an agency, like Hidden Trails, to find the right trip for the right person and to give them proper information so they can make the right choice for their "dream horseback vacation" - it is even more important for horseback riding vacations than any other type of vacation, because equestrian vacations are not just comparing one 4 star hotel to another 4 star hotel. Ther are many variables to consider, especially in relation to the horses, pace and riders abilities. Horseback riding vacation trips may be as old as the ancient explorers, but to manage a successful outdoor adventure company today means being proficient with modern technology. Hidden Trails offers a wide variety ofequestrian adventure trips from horser and cattle drives or pack trips to riding from lodge to lodge or even castle to castle. They find that offering a buffet of detailed trip descriptions, slide shows, and trip reports on their website www.hiddentrails.com is only the first step to properly inform their clients. Travelers are bombarded with multiple offers of trips, and a tour company must help ensure that customers select the right trip. So the Hidden Trails staff welcomes calls from people maneuvering through the over 300 trips (toll free in North America and via Skype worldwide). Having been on the majority of the trips, the owner operators Ryan Schmidt and Barbara Arnold have developed an understanding of how the different trips work, the pace of the trips, and the different accommodations and food types. With a tourism skill set first sharpened through managing his own guest ranch and fishing lodge in northern BC over 12 years ago, Ryan guides customers through hard choices as they make their dream of an outdoor riding vacation a reality. To find the right trip for the client's skill level is a key ingredient for success. A Trip Finder helps customers navigate by filtering trips by date, holiday season, cost, and destination. The company has trips in around 40 countries, most recently adding a variety of trips in Israel, Oman and Mozambique. Once a filter is applied, a map shows the location of the trips. Customers can either research their results or re-apply the filter. A customer can add trips of interest to the online cart and produce their own free Digital Brochure as a pdf file which serves as a personal brochure. The pdf brochure offers targeted, complete and updated information in much more detail any print brochure would be able to. As technology and the travel industry are constantly changing, companies such as Hidden Trails have no real choice but to stay up to date. It’s the only way to be and remain a market leader and Hidden Trails offers more details and options than any other travel company with over 2000 information pages online.